Toronto seniors are struggling with a scarcity of quality long-term care beds and affordable housing units. Soon, one downtown building will have both. Toronto seniors are struggling with a scarcity of quality long-term care beds and affordable housing units. Soon, one downtown building will have both. 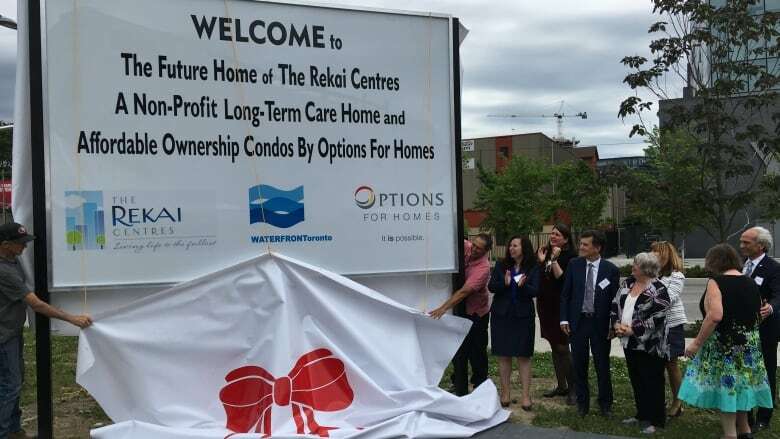 The Rekai Centres, which has run long-term care homes in the city dating back to 1955, and Options for Homes, builders of some 3,100 affordable units in Ontario, have partnered to buy a plot of land in the West Don Lands — at the intersection of Front Street East and Cherry Street. 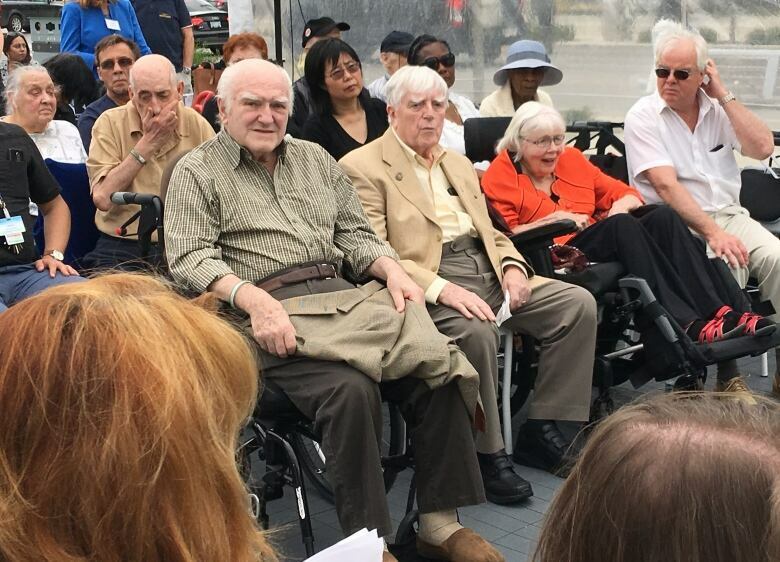 While there's no firm design yet, the organizations hope to offer 200 long-term care beds, including spaces for seniors suffering from dementia, and 200 affordable housing units that will be marketed to both families and seniors. If all goes well, there's hope it will open in 2020. Rekai CEO Sue Graham-Nutter says there's a huge demand. Right now, her organization is being flooded with calls from families struggling with relatives dealing with conditions like dementia. "When your mom or dad is wandering the streets … you're worried. You want a solution," she told CBC Toronto at an event launching the project. Graham-Nutter says property prices in the city are a huge barrier to building new homes, and in many cases they're forcing operators to move outside of Toronto. A recent CBC News analysis found several of Toronto's long-term care homes have some of the longest wait times in the province. Waiting for the bus following the event, Esther Appelman says she's comfortable where she lives — although she does need a caretaker's reminder on the exact address — and wants to stay in the city she knows and "respects." "I live in a community centre home now ... and there's a lot of people, like me, that will need one," she said. That may be difficult given escalating land prices. 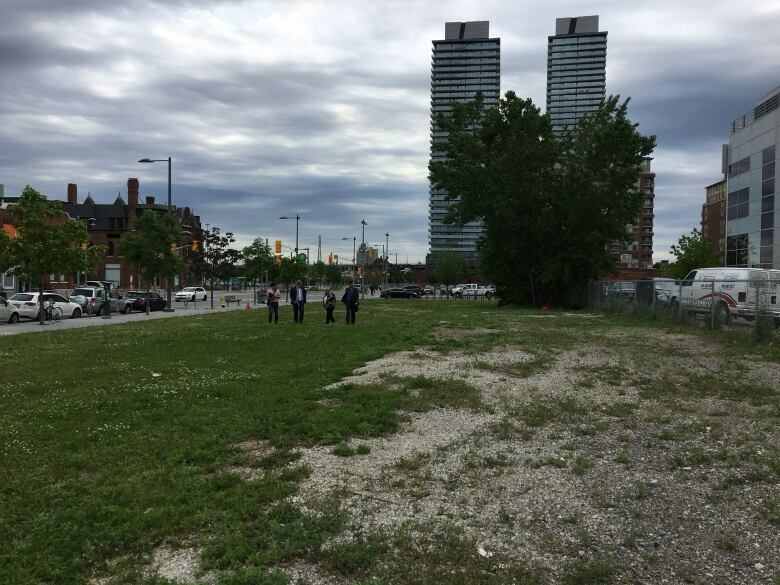 Rekai and Options bought the grassy field from the province at market rate following seven years of negotiations. To understand how much that rate has changed, when Options for Homes built some of its first condos in 2001 — buildings now smack in the middle of the Distillery District — they sold for $65,000. "As land prices have gone up we've had to sharpen our pencils and get a lot more creative about how we deliver the housing," said Options CEO Heather Tremain. Health Minister Eric Hoskins, on hand for the announcement, called the partnership "bang on," and said he's hoping Toronto's local health network will be able to provide services so every senior in the building can age in place. Coun. Pam McConnell also voiced her support, saying she hopes it will be able to open soon. The city of Toronto hasn't built a long-term care home of its own since Etobicoke's Lakeshore Lodge opened in 1990. Prior to that, Castleview Wychwood Towers opened in 1975.